HMD Global has started seeding Android 9 Pie update to its latest mid-range smartphone, the Nokia 7.1. Although the phone is not yet released in India, we’re expecting it to go official at the company’s December 6 event. Furthermore, the company will be releasing Android 9 Pie to the Nokia 8 and Nokia 8 Sirocco as the final testing is going on currently. 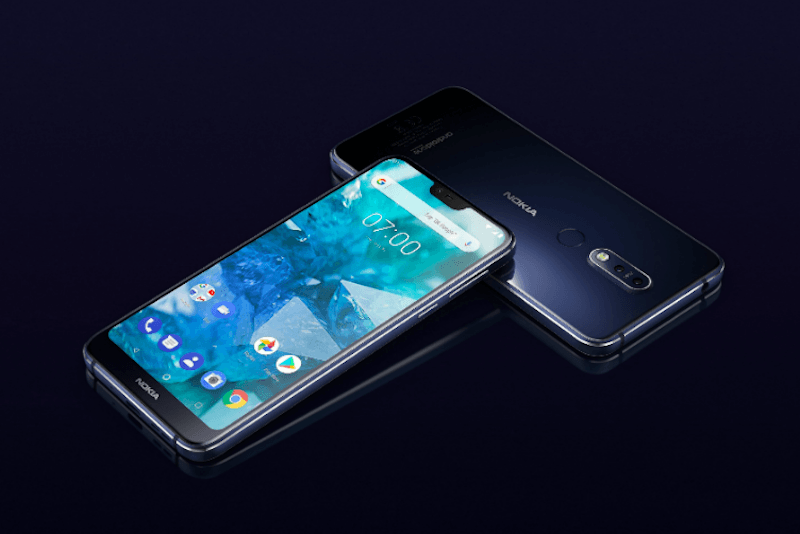 Notably, the Nokia 7.1 is the fourth smartphone from HMD Global to receive the Android 9 Pie update, and no other smartphone company (except for Google) has four devices running the latest iteration of Android. It’s indeed a great achievement from the Finnish company because in a very short span it has established a name for itself in the industry. The other Nokia smartphones running Android 9 Pie are Nokia 7 Plus, Nokia 6.1 Plus and the Nokia 6.1. Nokia 7.1 Android 9 Pie Update: What’s New? Like all the Nokia smartphones, the 7.1 is also an Android One handset, meaning it boots clean version of Android. The stockish version of Android is allowing HMD Global to push the software updates faster than any other company. Coming to the Nokia 7.1, HMD is rolling out the update in the promised timeline of November 2018 release. The company also promised to update Nokia 8 and Nokia 8 Sirocco to Android 9 Pie by the end of December. Talking about the features added by this update, it ships with a new interface, gesture navigation, adaptive battery, adaptive brightness, App Actions, App Slices, Digital Wellbeing and other Android 9 Pie features Google introduced. As noted, the Nokia 7.1 is available in some European markets, but it could land in India as early as the first week of December. The Nokia 7.1 could be the first phone from HMD Global to run Android 9 Pie out of the box and also one of the first smartphones in the industry. HMD Global first pushed the Android 9 Pie update to the Nokia 7 Plus because back it was part of Android P Developer programme. Late in October, it pushed the update to Nokia 6.1 Plus and Nokia 6.1 smartphones as well. For the unaware, the 6.1 Plus is one of the best smartphones HMD has released till date. And now, the Nokia 7.1 is getting the update. The company already confirmed that it would be rolling out Android 9 Pie update to its flagship smartphones- the Nokia 8 and the Nokia 8 Sirocco in December 2018. And in Twitter, Juho Sarvikas, the Chief Product Officer at HMD revealed the Nokia 5.1 Plus will also get the update by the end of this year. If everything goes as promised, HMD will end the year with six of its smartphones running Android 9 Pie, which is an incredible feat. Other Android 9 Pie smartphones available in India right now are Motorola One Power, Xiaomi Mi A2, Huawei Mate 20 Pro, Google Pixel 3, Pixel 3 XL, Pixel 2, Pixel 2 XL, Pixel, Pixel XL and OnePlus 6T. Motorola – Are you reading this?